Google provide lots of API for developers to develop their own tools. Today I would like to go through a funny feature from Google Chart Tools - QR code generating. Developer always have to come across with tons of data and make it to a presentable report for end-users. Google Chart Tools can save your a day. However, we just focus on QR code generating function today. If you interest in it, check it out at http://code.google.com/apis/chart/. Generating QR code by Google API is just a piece of cake. You just have to append your target message to a URL. Here is an example. Actually it will be a image if you click on it. The parameter chs is widthxheight. Parameter chl is the message or URL you want to include. Please do URL encode for your message. 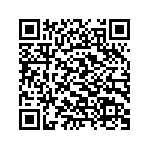 I have written a snippet of code to generate QR code by current URL automatically.